Family law consists of the legal responsibilities between individuals who share a domestic connection. These cases usually involve parties related by blood or marriage. The majority of family law proceedings usually come about as a result of the dissolving of a marriage or romantic relationship. They often involve children and the separation of property. Family law can also involve the prevention of physical and emotional abuse. Domestic abuse isn’t just limited to relationships between spouses. It can include children, an elderly family member, people who are dating or even a roommate situation. Family law can also pertain to paternity issues, adoption, gay and lesbian rights and estate matters of a lost loved one. Most often a legal and binding contract has come into play. It can be a contract of marriage or a last will and testament and everything in between. All of these contracts pertain to family law. Some family law cases can be easy such as the amicable dissolving of a marriage. Or they can be difficult, like the contesting of a will that involves the disagreements of family members. No matter what the situation, family concerns are also issues that involve matters of the heart. Most of the time, emotions get in the way of making informed and radical decisions. Due to the emotional nature of most family law cases, it is strongly advised to retain legal counsel. Family law attorneys help their clients file for divorce, alimony, child custody, visitation, and support. Whatever the family law case, most people understand that hiring a skilled attorney is key to their case. Attorney representation is crucial. They can help find hidden assets or income or present arguments about child support and custody. They have the skills to proceed with a trial if a settlement cannot be worked out. Without a family law attorney, you are vulnerable and may lose important legal rights. Many family units in Pennsylvania and New Jersey do not work out to be happily ever after as originally intended. Separations happen and often times involve child custody and support matters. Divorces can be simple or they can be more complex. Will you be getting alimony, paying it? Will you have full custody, partial custody or shared custody? Will you pay child support or will you receive it? Other times the issue of a deceased loved one and the dividing of their assets has become an issue that family members cannot resolve on their own. Even if that loved one has left a will, sometimes greed and money take hold and family members argue over estate matters. Philadelphia family law cases can involve a number of issues making it more important than ever to seek legal counsel. 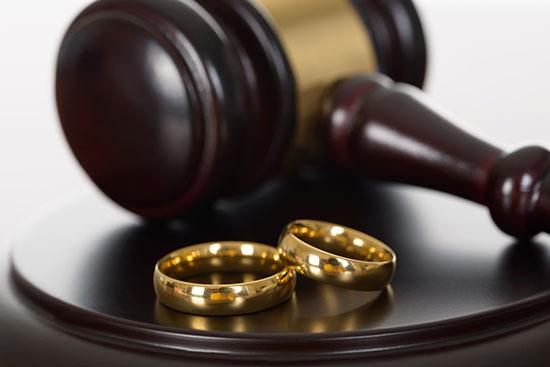 At Martins Mill Legal Center, we can represent you in any family law matter. We understand the nature of family matters and that sometimes you need someone fighting for what’s best when your emotions tend to get the better of you. Get help with the answers to all your questions and more. Contact Martins Mill Legal Center, LLC and schedule your no obligation consultation today!